EMIRATES and Alaska Airlines, have announced the launch of a new frequent flier partnership that will offer travellers the opportunity to accrue Alaska Airlines Mileage Plan miles when they fly to any of Emirates' 118 destinations worldwide, including points across Africa, India and the Middle East. Emirates Skywards members can also accrue miles across the Alaska Airlines network in the United States (including Alaska and Hawaii), Canada and Mexico. Emirates' senior vice president of commercial operations for the Americas Nigel Page said: "As part of our commitment to Seattle, we are launching our service by partnering with Seattle's hometown airline to offer customers the convenience of a frequent flier partnership as well as one-stop check-in and through checked baggage, providing easier access to a vast range of points across the United States, Canada and Mexico." Emirates will operate a daily nonstop flight from Seattle-Tacoma International Airport to Dubai aboard an ultra-long range B777-300ER from March 1, 2012. 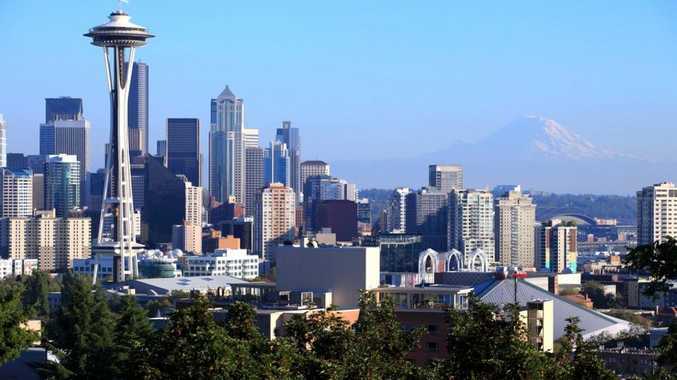 Seattle will become the airline's sixth US gateway, joining New York, San Francisco, Los Angeles, Houston and from February 2, Dallas/Fort Worth. Under the new partnership, travellers connecting between any point on Emirates and Alaska Airlines' networks will be able to check in for their flights at either carrier's counter, receive their boarding passes and check their bags to their final destination. Alaska's managing director, loyalty marketing and customer advocacy Caroline Boren said Alaska Airlines is delighted to welcome Emirates as the newest Mileage Plan partner. "Our customers will be able to earn and redeem miles on Emirates - a carrier admired for its service and quality and with a route network that gives our members even more access to global destinations." Miles flown on Emirates will count toward qualification for Alaska's MVP elite level program.